3" Twist-Lock Kit, 7 pc. Grizzly T27793 - 3" Twist-Lock Kit, 7 pc. These Twist-Lock Kits feature threaded backs that fit securely to the mandrel for quick and easy pad changes - never have to slow down to change grits! 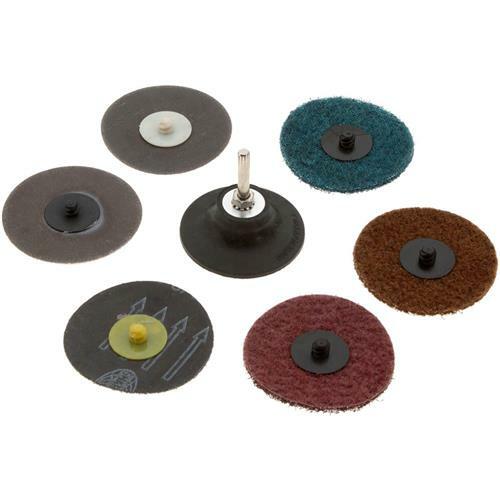 Kit includes disc and non-woven discs in one each of 36, 60, and 120 grits, as well as a rubber pad with shaft. 3" diameter.